Steiner Ranch of Austin Texas is a Taylor Woodrow master-planned community located 15 minutes west of downtown Austin, on the south shore of Lake Travis, and the north side of Lake Austin - just east of Mansfield dam. Often referred to as the "Land Between the Lakes", the rugged hills yield wonderful panoramic views with more than 800 acres of nature preserve, including 12 miles of nature trails located within the community. Steiner Ranch's ease of access to both work and fun has made it one of Austin's most desired communities and is regarded as one of the best master planned communities year after year. The first section of Steiner Ranch Austin began construction in 1988, and the development has continued strong through the 1990's and into the next millenium. Resale homes begin around the mid $250's, and new homes begin in the low $300's with a bulk of the new construction beginning in the $400s. 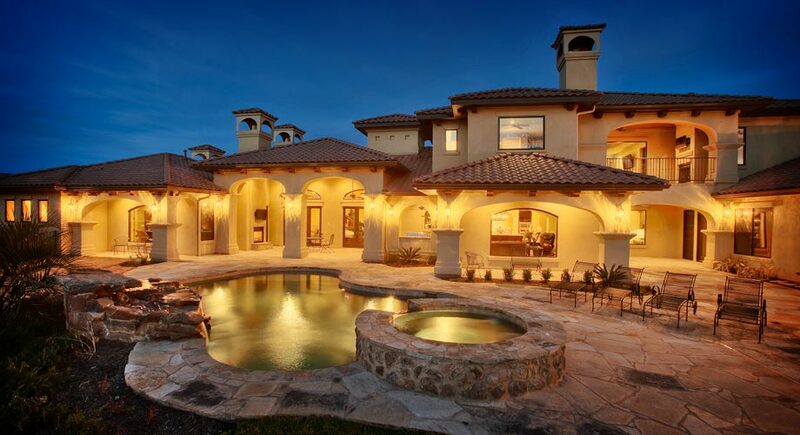 There are also several custom home neighborhoods within Steiner Ranch that consist of million dollar homesites. Sierra Vista , Bellagio Estates , The Bluffs , The Legends at the UT Golf Club , Cliffside and Eagles Glen all provide incredible Hill Country Views within private gated communities. Steiner Ranch is also home to the prestigious UT Golf Club , an 18 hole signature course that is home to the University of Texas Golf Team. Other community ammenities include a number of hiking/biking trails, community pools, tennis courts, and more. And when it comes to school for the children, you'll feel comfortable know that Steiner Ranch is in the acclaimed Leander ISD, and has 3 schools, Laura Welch Bush Elementary School, Steiner Ranch Elementary, River Ridge Elementary, all rated "exemplary" and within the neighborhood. All children attend Canyon Ridge Middle School, and Vandegrift High School. If you are looking to be close to the water - the closest Lake Travis boat ramp is a 5 minute drive away at the Mansfield Dam. Steiner Ranch also has a boat ramp within the community, providing access to Lake Austin. Right next to the Steiner boat ramp is the Lake Austin Spa, perfect for a day of rest and pampering. If for some reason you decide that Steiner Ranch of Austin isn't for you, then I would suggest similar master planned communities, such as Circle C Ranch, Belterra, and Rough Hollow in Lakeway.